Most salespeople are negative. It’s true. The majority of salespeople don’t expect to close a sale. They’ve had their brains knocked out so many times that they’re actually surprised when they succeed. It always amazed me how the other salespeople at the dealership where I worked would huddle together in small bull sessions every morning. It’s what I refer to as the “dope ring” for obvious reasons. I was a loner and kept to myself. When I’d arrive at work, I saw no purpose in wasting my time talking to them. After all, they weren’t going to buy a car from me! Besides, I didn’t get up that morning to shoot the bull. I didn’t have time to hear any of their jokes, and I didn’t spend my lunch hour with other salespeople. My business was to sell cars, and I didn’t want to hear other salespeople griping all day. But I couldn’t help overhearing them. Customers would walk into the showroom and a salesman would say: “You take that one, I don’t want him. He’s just a shopper.” Another would eye the next customer and remark, “Oh, he’s got his old lady with him. That’s a bad sign.” Somebody else would say, “Look at this mooch. He can’t even afford to wear a decent coat.” The next customer’s hair was too long. And another belonged to an ethnic group that “doesn’t buy cars.” All day long those guys would think up reasons why people weren’t good prospects. I couldn’t get over it. It was as if they were trying to convince themselves that nobody ever bought cars. But me, I believed that every person who walked into the showroom was there for one reason: to buy a car! I figured every person who walked into the showroom had one thought in mind—he or she wanted to buy a car. Why else would anyone come into an automobile dealership? To this day I could never figure out what those salespeople knew that I didn’t know. How in the world can anyone look at somebody and determine if he’s going to buy? I’ve been in the sales field for many years and I still have no idea what a buyer is supposed to look like, and I defy anyone to describe what one looks like. The same negative thinking happens with outside salespeople. They spend the majority of their time driving past prospects, not even bothering to make the effort to get out of their cars to make the calls. They spend half of their time thinking up reasons why people won’t buy instead of giving sales presentations. Then, when they do work up the courage to make a sales presentation, they’re full of doubts and fears. 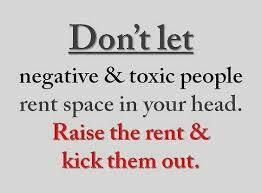 I can’t stand being around negative people, and I can’t help thinking prospects feel this way too. Think about when you’ve spent an hour or so listening to a considerate professional salesperson talk to you about the merits of owning his or her product. You were given some intelligent and logical reasons to buy, and you understood how much the salesperson wanted your business. After all, who needs some down-in-the-mouth guy walking into his or her place of business to cast a cloud of doom over the joint? What would you do if somebody like that came into your home or office? I’d resist him like the plague. I always understood why people were so turned off by negative salespeople. Knowing this, I make a special effort to convince myself that everyone is a terrific prospect. I am so positive I’m going to make a sale that I can’t help but generate enthusiasm from every prospect I meet. Believe me, it is contagious. Isn’t this a refreshing contrast to those salespeople out there spreading negative thoughts wherever they go? And they can’t figure out why they encounter so much resistance!